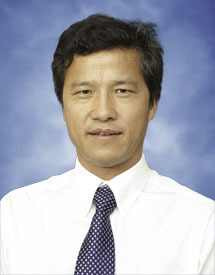 Dr. Chengming Wang is a professor in the Department of Pathobiology. He obtained his DVM from Anhui Science & Technology University (1989) and MS in Veterinary Preventive Medicine from Nanjing Agricultural University (1992) in China, and received the MS in Poultry Science (2002) and PhD in Biomedical Sciences (2005) from Auburn University. He was hired as an assistant professor by Ross University School of Veterinary Medicine (2010-2012) and then joined Yangzhou University College of Veterinary Medicine of China as a Jiangsu specially-appointed professor (2012-2016).